AMC Networks’ Joel Stillerman is joining streaming service Hulu as chief content officer. The new role will see the exec driving overall content strategy, overseeing acquisitions, expansion of the originals slate, development and content partner management teams. Current content chief Craig Erwich will remain as senior VP and head of content, focusing on original programming after Stillerman joins later this summer. Stillerman’s star has risen at AMC, where is currently president of original programming at The Walking Dead channel AMC and Cleverman network SundanceTV. 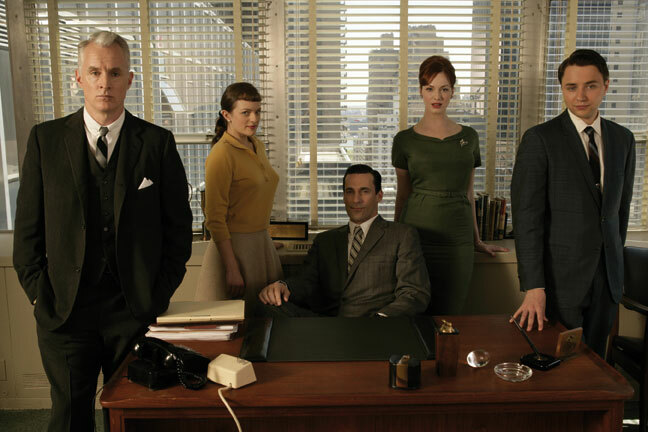 At AMC, he also played a key role in shows such as Mad Men (pictured), Breaking Bad, Better Call Saul, Fear the Walking Dead, Into the Badlands and The Night Manager. Stillerman will join the US broadcaster-backed Hulu management, and report to Hulu CEO Mike Hopkins. He had joined AMC from Yolo Films, an indie he founded in 2003 that produced shows for HBO, MTV and VH1 among others. He also co-founded Sparky Pictures with Ted Demme back in 1995, which led to films such as Blow and Rounders, and HBO movie A Lesson Before Dying. The news comes after Hulu launched its live pay TV service at its New York Upfront earlier this month. The platform has been ramping up exclusive US acquisitions, recently securing Canadian drama Pure, and originals such as Locke and Key, which is a pilot based on a horror-comedy comic book.